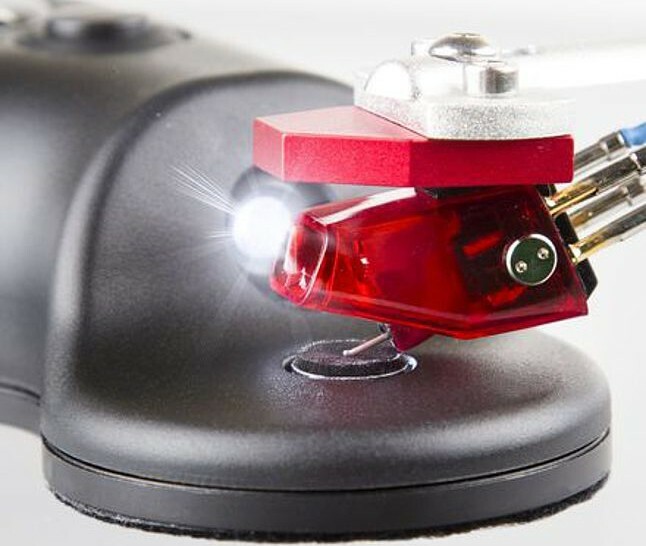 Flux-Sonic Needle Cleaner is designed to gently, safely and quickly remove dirt from the record player's needle using targeted and controlled vibrations leaving no residue. Earn 115 loyalty points when you order this item. 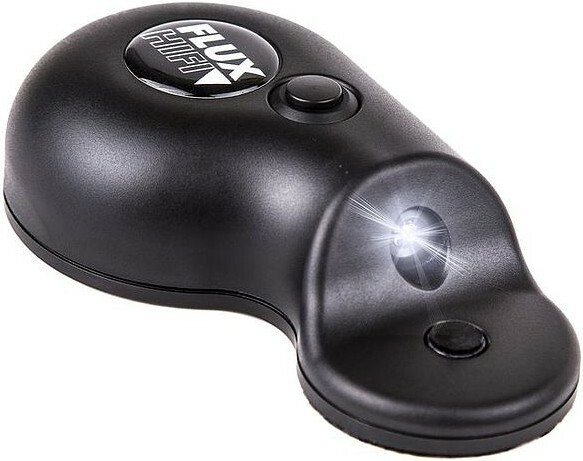 Flux HiFi sonic electronic stylus cleaner is a vibratory needle cleaner which transmits a high frequency through liquid to remove dirt from the stylus tip for clearer playback. Vibratory needle cleaners date back to the 1970s. 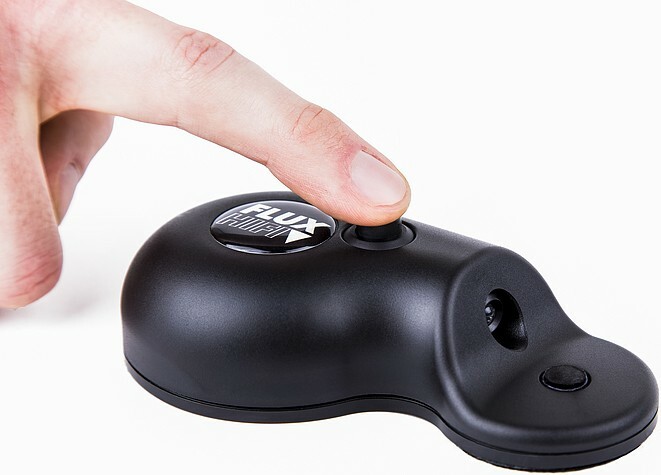 Flux Hi-Fi revived this technology with their Sonic Electronic Stylus Cleaner. It uses high frequency, transmitted by a liquid that peels the soils off the needle. These devices disappeared from the market with the rise of CDs to the suffering of many record players so Flux Sonic is an essential asset for vinyl enthusiasts everywhere and the result is outstanding. The scanning needle is the primary component during playback with an aim to follow the groove precisely in the micrometre range. Pickup manufacturers make great efforts to achieve this accuracy however if the needle is dirty, it cannot exactly follow the deflection no matter how refined the needle is. It will react too early or too late creating distortions. Even supposedly clean records are covered with dust, partly visible and partly invisible in the groove. It contains particles of silicates, polymers and organic substances. These stick to the needle because of the high temperature during the scanning process. The principle is similar to an ultrasonic dental cleaner or an ultrasonic bath for spectacle lenses. A strong high-frequency vibration ensures cleaning of the surfaces. However in some substances, damage is caused by this treatment as well as the use of aggressive liquid cleaners. The Flux-Sonic Vibration Cleaner works with a low frequency. The circuit and mechanics are designed so a 3D vibration acts on the needle to ensure any dirt particles are removed. 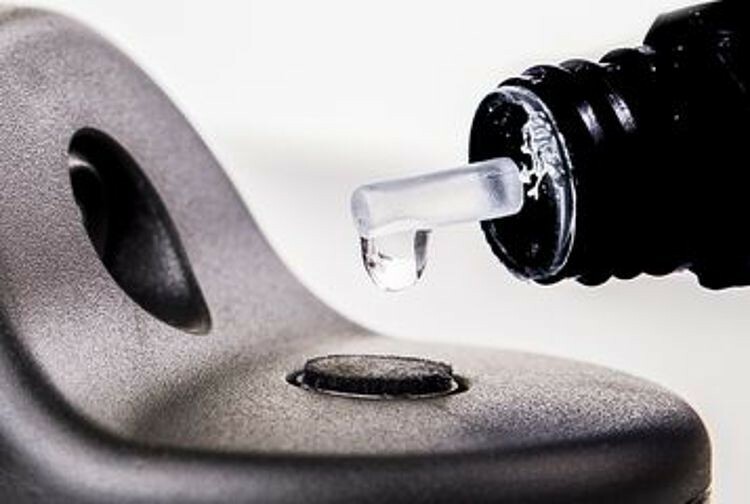 The frequency is precisely matched preventing damage to the adhesive or suspension with optimum cleaning results. The deflections lie far from the values of the actual scanning so the movement of the needle corresponds only to a fraction of the load on the playback process. A liquid is necessary to transfer vibration from device to needle and this has an additional, gentle cleaning effect. After use, it volatilizes without residue. Flux fluid is applied to a specially developed pad of the finest capillary-effect PE fibres. When combined these transmit the vibration while simultaneously absorbing dirt. Application is recommended before every playback. The cleaning process lasts only 15 seconds but gives optimal results. The capability of the pickup system is improved and the life of the needle is increased by less abrasion. Scanning noise is significantly reduced with both distortions and minor noise largely being removed. Unpleasant peaks are gone and the range of frequencies seems to be extended, especially in the bass and treble range. Playback is much more dynamic and enjoyable.